Since the dawn of human history African and Middle Eastern women have turned to trance dancing to cure physical and mental ailments whenever traditional medicine fails them. They enter trance using special music and movements to discover what ails them. For example, in Egypt Zar cult members believe many illnesses are caused by "red spirits" – a type of Jinn - who use human bodies as hosts. These sessions, based on the instructor’s book "Trance Dancing with the Jinn," use traditional Middle Eastern trance dance music and movements (based on Islamic zikr, Sufi whirling and the zar) to enter a meditative state. 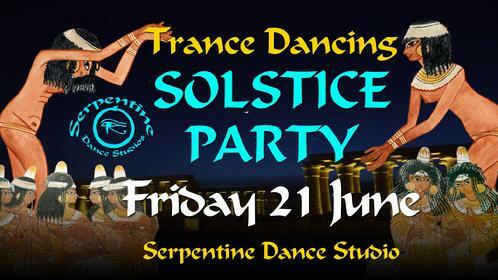 Come learn Middle Eastern trance dancing from a dancer with over 45 years of performance and teaching experience!